You can’t always run from danger . . . 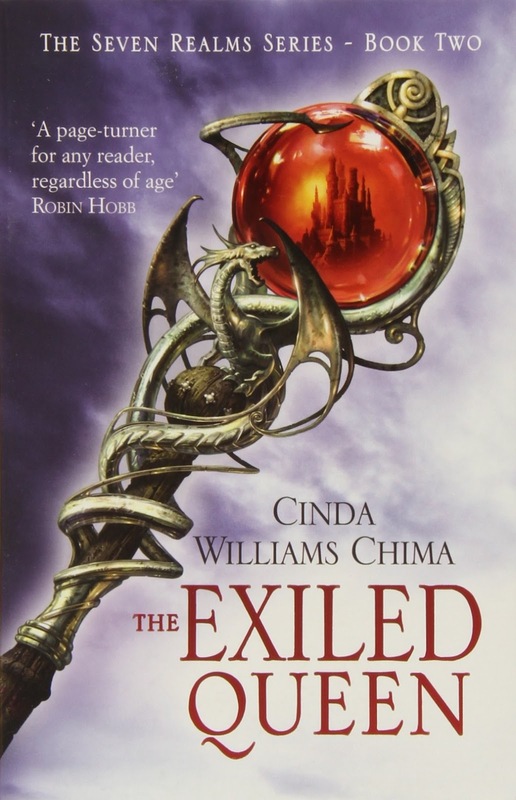 This series is just getting better and better, The Exiled Queen picks up not long after where The Demon King left off so we both Raisa and Han going through huge changes in their lives. Han is travelling to Oden's Ford with Dancer so that they can both begin their magical training at Mystwerk House but that's going to put him squarely in the sights of the Bayer twins who are both holding a grudge against him. Both of the boys struggle to fit in, Dancer is an outcast amongst the other wizards who all look down on him for his clan heritage while Han is caught between the people who want to use him for their own ends and those who would rather see him dead. At the same time Raisa is travelling back to school with Amon and his triple, she is hiding in plain sight as a new recruit named Rebecca and trying to stay under the radar to avoid the Queen's Guard. If anyone discovers who she really is the best outcome would be getting dragged back home and forced into an unwanted marriage but with rumours circulating that the High Wizard is trying to have her sister declared heir to the throne it's more likely she'd meet with an unfortunate accident. Raisa is determined to make the most of her time at Oden's Ford though and she puts everything she has into training as hard as possible and learning anything that she feels could be an advantage in her future role as queen. 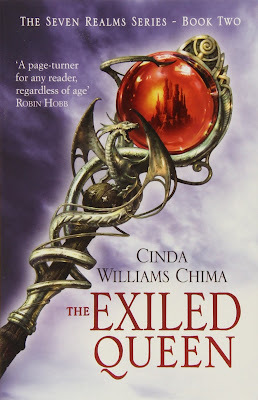 The Exiled Queen had me hooked from the first page, I enjoyed getting to learn more about this world as we journeyed across the country with the characters and we meet some interesting groups along the way who I'm sure are going to have roles to play as the series continues. The story really picks up the pace once we arrive at Oden's Ford though, I don't want to talk too much about what actually happens there but I loved seeing how much all of our characters changed and grew throughout the story. They are gradually starting to figure out their places in the world and are all starting to understand what they need to do to achieve their goals. I still love the friendship between Dancer and Han, although Han was a little neglectful of his friend for a while so I'm hoping that doesn't continue. Cat is an excellent addition to the cast and it was also nice to see Raisa make some friendships amongst the other soldiers. Amon is still my favourite character but I'm a little angry with him for some of the choices he made in both in the previous book and in this one. I think my ship has basically hit an iceberg and sunk without a trace but I'm still kind of holding out hope for it to be mysteriously resurrected, please Cinda Williams Chima don't break my heart completely! Whatever happens I'm definitely excited to continue reading this series and I'm sure there are going to be lots more shocking developments before it reaches the conclusion.